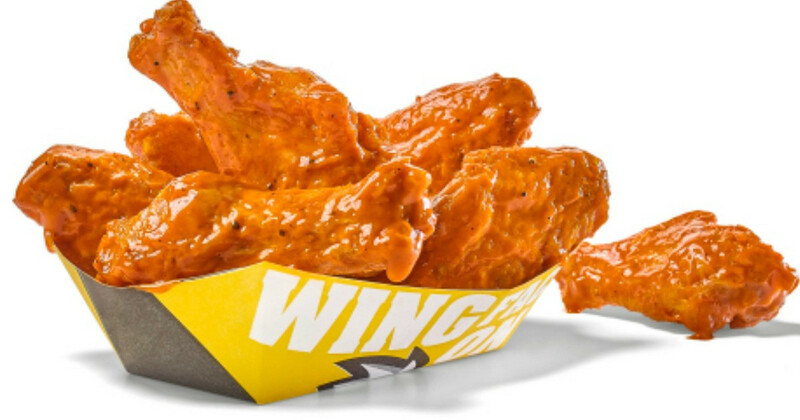 Savvy Spending: Possible Free Buffalo Wild Wings Snack Size wings if SuperBowl goes into overtime! Possible Free Buffalo Wild Wings Snack Size wings if SuperBowl goes into overtime! If The SuperBowl Game goes into overtime on February 3rd, EVERYONE in America can get a free Buffalo Wild Wings snack-sized wings on Monday, February 18th, from 4-7 PM local time. A snack-sized wings order has approximately five wings. No purchase will be necessary to redeem the free wings and the promotion will be available for dine-in orders only (limit of one free order per customer).